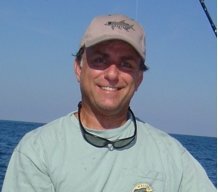 Discussion in 'Boat-less Inshore Fishing Reports (R)-' started by Volleybum, Apr 12, 2019. Got off work early yesterday and had to chose between doing yard work I have been putting off for a few weeks or go fishing. So since I have been putting the yard work off for a while, what’s a few more days, so fishing I went. Started with a visit from an unexpected friend hiding under my yak. Took a little while to encourage him to head back outside. And then decided yak was going to stay put as that was Mother Nature’s way of telling me to fish the banks. Then walked down to the inter-coastal, my normal spot was taken by a couple visiting from out of town, so I walked down to another spot far enough away that I didn’t bother them. Plenty of shoreline, no reason to be on top of each other. First cast, jack on before weight even hit the bottom. Then hour later, sea bass (always think it’s weird to catch them in the ICW and growing up in NJ and having to go far offshore to get them, but they are there). Then another hour goes by and the bonnet head give some me some fun. Other couple saw me fighting it and came down to look as they have never seen a shark before. Then another hour and the whiting. Whiting caught on chunk of squid. Everything else on shrimp. Squid and shrimp it was frozen for the third time before use as it was all I had and was too lazy to go get more! That was it, about 5 hours, 4 fish, 1 manatee came and said hello, mother and baby dolphin, bald eagle, osprey and all kinds of shorebirds stopping by too. It was a great day to be outside. Decided it was photo catch and release day as I already had leftovers ready for dinner. bogman102, Greenedog and mkyota1 like this. Yardwork or fishing? How is that even a decision? That shark phot looks hilarious to me. Almost cartoonish with the face and eyes. Glad you had a good day out. Thanks for report. Nothing wrong with that report. Except for the snake. Thanks for reporting. Yard work or fishing? That’s why I pay someone to do the yard work for me. He was pretty harmless, unlike his friend earlier in the day who came to visit who was not. I would much rather see him in my garage than see a family of mice or rats. Did you deal with a poisonous one earlier? Great report and catch! Sea bass are great eats. You can always do yard work. Great report! Thanks! Might take a drive tomorrow. Thanks for the report, nice pictures! You are correct! Good for you! That looks like a Southern Black Racer and they are harmless. He is only there for the rodents! Thanks for the report and photos; you did well. I used to catch Black Sea Bass in Long Island Sound off the CT coast. I always thought they looked more like a warmer water fish! That looks like a mature black racer. We've got one about 4 ft that hangs around and eats the lizards, good company for sure. Sounds like a nice day, you got a few fish, caught some sun, and entertained some folks... I agree with the sea bass. Volleybum and bogman102 like this. Nice variety and pics. Thanks for the post.